Cold and wet conditions hampered the Girls Class C State Golf Championships in North Platte, and officials eventually called off Round 2 at about 2:30 pm CT on Tuesday, using Round 1 scores as the final. 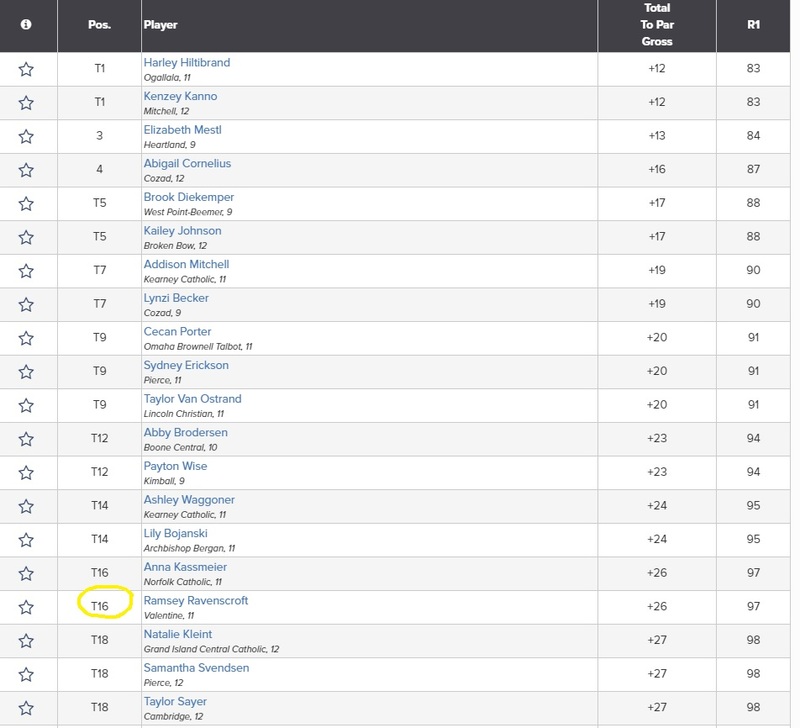 Ramsey Ravenscroft, a junior from Valentine, tied for 16th with a score of 97, out of 92 total golfers. Kudos to Ramsey for her efforts!